IAG New Zealand has extended its reinsurance protection to help it pay for claims from the Canterbury earthquakes again, purchasing a $900m adverse development cover through in internal reinsurance transaction, with the majority of the risk retroceded to third-parties. Earlier this week we wrote that the claims toll from the 2010 and 2011 Canterbury, New Zealand earthquakes continues to rise, with insurance and reinsurance capital now having paid out and settled $19 billion of claims. The total has further to run though, as we explained in that article, with the total loss paid for by insurance and reinsurance capital increasing by $1 billion for just another 1% of claims settled. With 94% of claims settled that suggests the toll will continue to rise. Insurer IAG New Zealand is fully aware of this and has further hardened its financial defences against the earthquakes, by arranging a novel adverse development cover reinsurance transaction through a captive to provide itself with another $900m of cover for the rising quake losses. As reported by Jenée Tibshraeny of Interest.co.nz here, IAG’s reinsurance costs to protect its balance-sheet and shareholders against the creeping loss from the Canterbury quakes just keeps on rising. 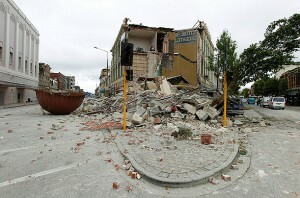 According to IAG’s results the insurer had reserved initially for $4.4 billion of losses due to the New Zealand earthquakes, a figure which increased when it purchased $600m of adverse development reinsurance cover from Berkshire Hathaway so raising its reinsurance protection for the quakes to an effective $5 billion. Then when you consider just how much the quakes have cost IAG currently it’s easy to understand why another $900m of reinsurance has been required. As at the 30th June 2016 IAG’s New Zealand operations had paid out over $5.7 billion in claims, so securing another adverse development cover of $900m concurrently takes its effective reinsurance for the NZ quake events to $5.9 billion, we assume, so covering the current level of payouts. However, with still 6% of claims to be settled, as of 30th September, it seems likely that IAG could blow through its reinsurance limits again, even with this additional adverse development reinsurance purchase, again demonstrating how earthquake losses are filled with uncertainty and have a longer-tail than many appreciate. Interest.co.nz spoke to IAG NZ’s CFO who told the publisher that the new $900m of adverse development reinsurance was purchased internally through an internal reinsurance arrangement. IAG’s captive or internal reinsurance transactions typically involve its Singapore entity IAG Re, which enters into the intercompany transaction but then retrocedes the majority of the risk to third-party reinsurers. IAG is the dominant primary property insurer in New Zealand so it is no surprise that it continues to deal with claims from the earthquakes, nor that it chooses to utilise reinsurance capital to do so. But what this does show is the difficulty that the industry has faced in estimating the claims total from the New Zealand earthquakes, which could suggest that further hardening of reserves may be necessary for other reinsurers and once again underscores how smart most ILS funds or collateralised reinsurers with exposure were when they commuted or settled claims early. 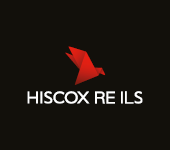 Claims deterioration is clearly going to continue as the remaining cases get settled, raising the industry loss further and perhaps resulting in some further impacts to reinsurance players around the globe.